To help older drivers to remain mobile, AAA Hawaii will host a CarFit® event on Saturday, Oct. 24 at the Hawaii Kai Retirement Community. CarFit helps mature drivers over age 55 learn how the effects of aging can change the way they fit in their vehicle and how their driving can be affected. AAA Hawaii, AARP and the Occupational Therapy Assoc. of Hawaii, are partners in creating and hosting the CarFit event. Seniors receive free take-home resources and a goody bag. The free appointment-only CarFit event will be held from 8 a.m. to noon at the retirement community, 428 Kawaihae St. Honolulu 96825. 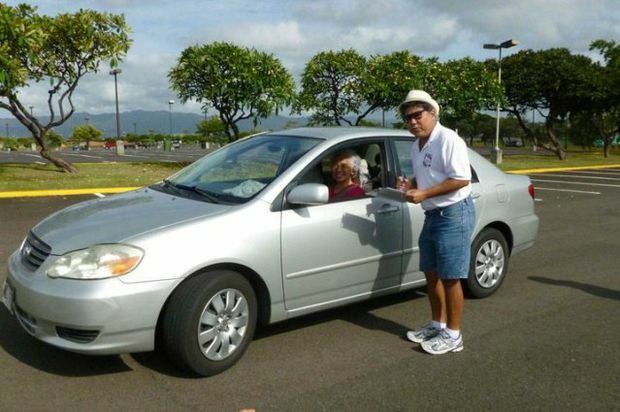 Appointments are required and can be made by calling 808-545-6008 or by visiting http://aarp.cvent.com/carfit10-24. Often, adjusting these components will help seniors drive more comfortably and safely, according to Anita Lorz Villagrana, AAA Hawaii community affairs and traffic safety manager. Occupational therapists also will be on site to help with vehicle fit.